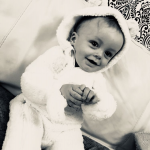 Due to going back to work full time I am currently looking for a suitable childminder for my 13month old, he does currently go to a local Childminder’s during the week but I also work weekends so I am looking for childcare for that. He has really come on since being with the childminder so I am looking for somebody who will encourage this more. He has severe eczema and allergies, also uses 2 types of inhalers. So as anybody can imagine I am very cautious about who looks after him. Please text me if you feel you would be suitable. So far we are aware of: egg allergy, coconut allergy(possibly full nut allergy). The weekend work can start any time after 7am and finish at 10pm. I get my rota a week in hand so would be able to let you know with notice what hours it would be.